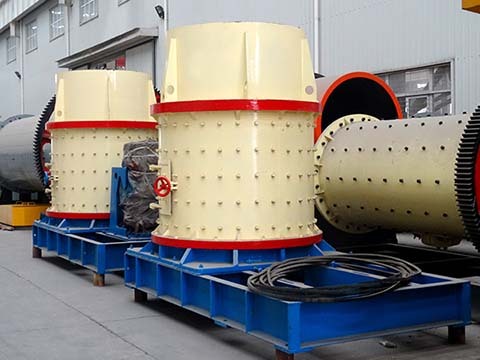 Processing capacity:12-1000t/h Discharge opening:3-60mm Feeding size: 35-300mm Applied material: Iron ore, coal, clinker, limestone, dolomite, flint clay, lead zinc ore, serpentine, blast furnace slag, gangue and phosphate ore. 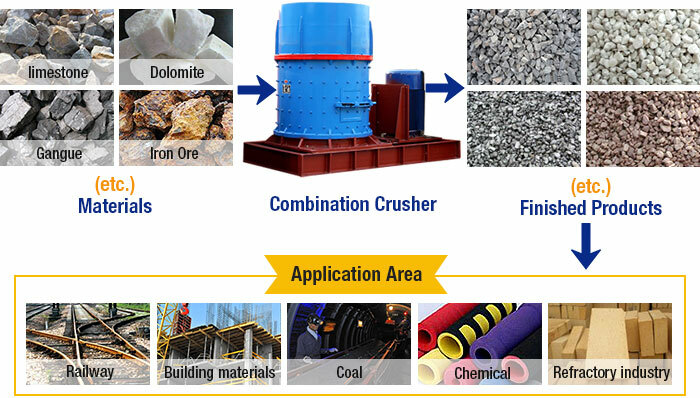 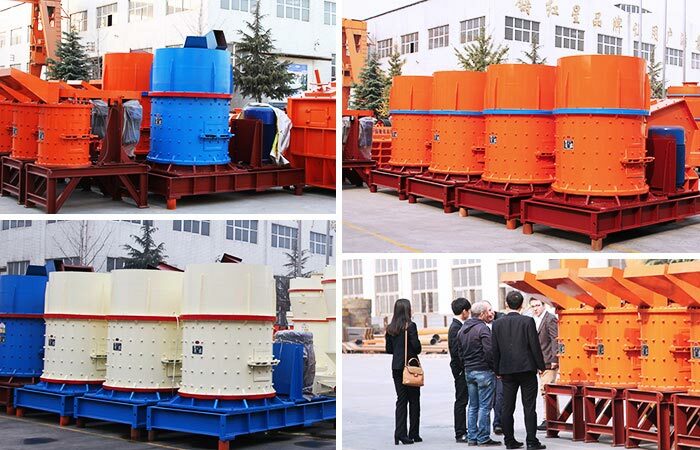 The compound crusher can crush large materials, and the discharging granularity can be adjusted at will without influencing the abrasion of board hammer and lining plate. 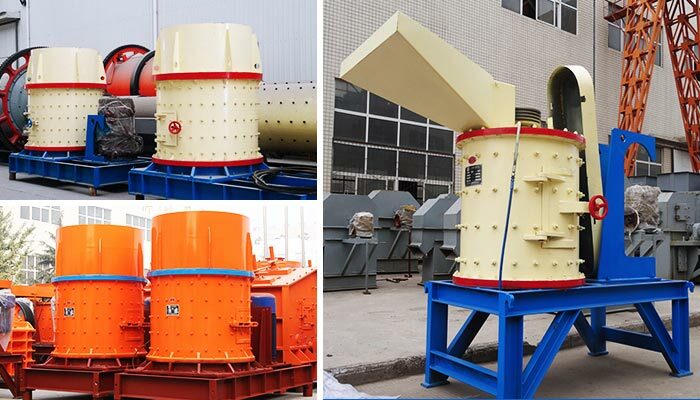 The combination crusher adopts the no-grizzly-bar structure to avoid blocking, which is suitable to crush materials with high moisture and silt content. 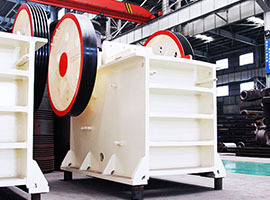 The elastic adjustment structure of compound crusher will help discharge materials that can’t be crushed, thus avoid damaging the equipment. 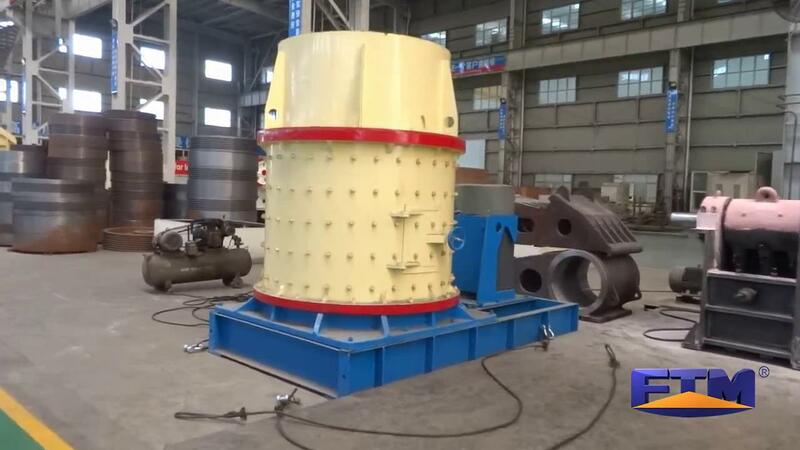 Materials fall into the high speed spinning impeller from the top of the compound crusher or combination crusher, and get crashed and crushed at high speed with the other materials spreading around the impeller in an umbrella shape under the high speed centrifugal action. 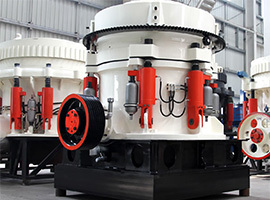 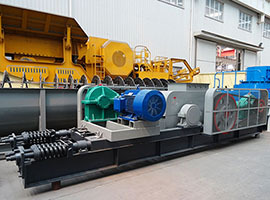 After materials hit each other in the combination crusher, they get further crashing, grinding and crushing in eddy current between the impeller and chassis, then they are discharged from the bottom barrel, forming multiple closed circuit recycling process. 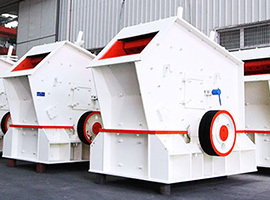 The particle size of finished product is controlled by the screening machine.